What is Brushless DC Motor (BLDC) ? •The motor is made up of rotor and stator . 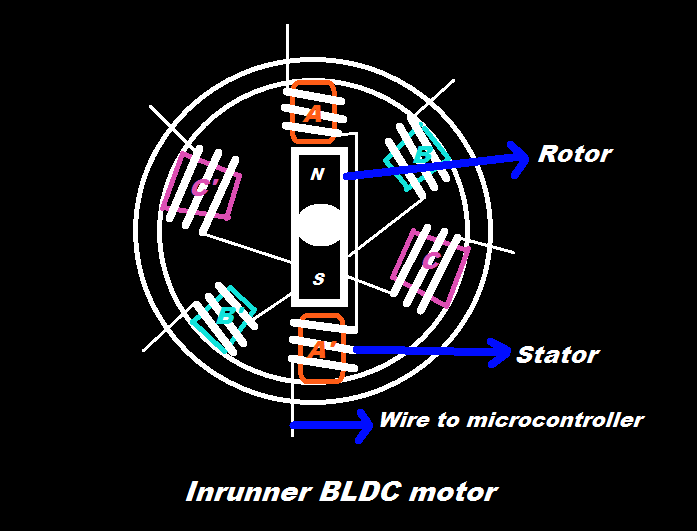 •In BLDC motor the rotor is a ferromagnetic material (permanent magnet). 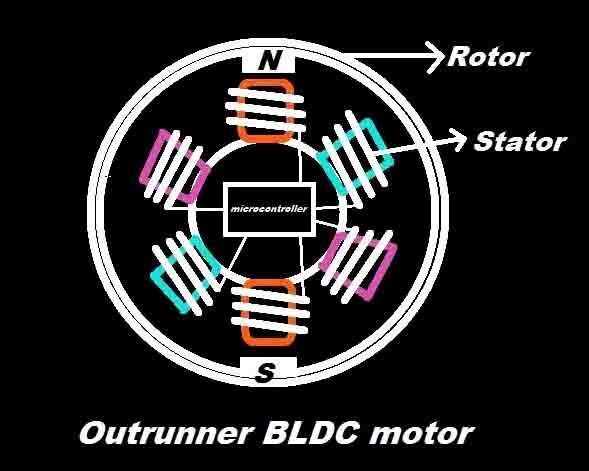 •The rotor may be outside (Outrunner) or inside (Inrunner) of BLDC motor. •The front winding are series connected. •These two opposite face coils energized with equal and opposite polarities. •So if one side create north pole then other will create south and vice versa. •BLDC is available in single phase, two phase and three phase. 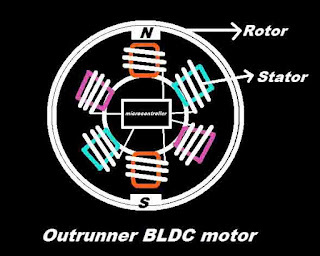 •BLDC rotates in synchronous speed means the magnetic field generated by stator are stationary with rotor. •There is no slip is present in between rotor and stator. •The brushes are absent so there is no voltage drop across brushes. •Speed of BLDC is very high. •For determining the position of rotor there is a hall effect sensor. •BLDC motor can be control by microcontrollers. •BLDC motor can be use where smaller size and higher output is required. •There are two type of stator winding types one is star connected and second is delta connected. •Delta winding gives low torque at low speed and start winding gives high torque at low speed. State any two applications of brushless DC motor. With the help of necessary sketch, explain in brief the working of brushless DC motor. What is back emf in DC motor? Explain its significance. What is the order of the characteristic equation of an armature controlled DC motor?